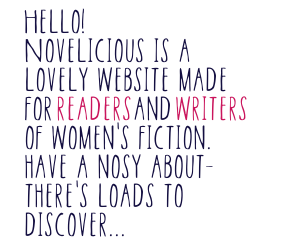 Bestselling authors and Novelicious favourites including Liane Moriarty, Lucy Diamond, Paige Toon, Cathy Bramley, Miranda Dickinson, Lucy Robinson and Rachael Lucas are offering fans the opportunity to have their name appear in their forthcoming novels. They are amongst over 70 popular authors who are taking part in this year’s Get in Character eBay auction, an annual fundraiser organized by CLIC Sargent, the UK’s leading cancer charity for children and young people, and their families. The 10-day auction kicked off at 8pm (GMT) last night and will run through to 8pm on Sunday 8 March 2015. The highest bidders for each author buy the opportunity to have a character named after them in their next book, and immortality in print. People can also bid to have a character named after a loved one. Children’s authors Lauren Child and Cressida Cowell have announced that they will design BookBenches based on their own children’s book series Clarice Bean and How To Train Your Dragon, to be unveiled on the streets of London this summer. The benches, shaped as open books, will form part of a public art trail of 50 BookBenches launched for the National Literacy Trust’s Books about Town project to celebrate London’s literary legacy and raise vital funds for literacy. The National Literacy Trust is working with Wild in Art to bring Books about Town to London as a unique opportunity to explore the capital's literary connections, to enjoy art from some of the country's top artists and to experience the joy of reading for pleasure. From July, visitors will have the chance to discover the BookBenches by following literary trails around London. City of London has confirmed that they will host one of the trails and other benches will likely appear in Greenwich, Kensington & Chelsea and Bloomsbury. For the whole of March, novelist Carol Mason is donating 50% of all net proceeds from her Amazon ebook sales to the Breast Cancer Foundation. If you wish to support the cause you can buy her E books on Amazon UK for £2.00, then send proof of purchase to her via an email at her website. See www.carolmasonbooks.com for more details. Carol Mason's latest UK published book is Send Me A Lover. The Kindle edition can be bought here. Afterwards, Grace must find the identity of the arsonist and protect her family from the person who's still intent on destroying them. Afterwards, she must fight the limits of her physical strength and discover the limitlessness of love. This is the new book from Richard and Judy approved author Rosamund Lupton, author of Sister. It's a gripping read from start to finish. Thanks to the lovely folks over at Little, Brown for this one. What makes a great friend? Has Facebook ruined dating? What's the secret to effortless style? 'Hello! This is a book written by proper best friends - us! - who have been hanging out together for over ten years. We thought that if we shared some of our own experiences and views on friendship, relationships, leaving home, studying or starting a new job, then it might help you on your own journey. Inside you'll find loads of stories - some funny, some sad, and some that make us cringe with embarrassment - as well as tips and advice on things like dating and looking good. We've included our best photos from over the years (even the dodgy ones!) and drawings that Fearne has done especially. You can tweet me (@filmvsbook) the amount you would like to donate with the hashtag #bookforlife and follow its progress. For those not on Twitter, leave a comment at the bottom of this post with the amount you want to bid. The person who has the highest donation bid at midday on Sunday 17th July 2011 will be sent the book as soon as possible after the deadline. Please donate at the page below.